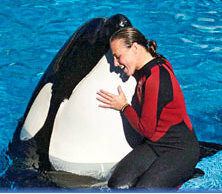 More information has come in regarding the trainer at Sea World who was killed by the killer whale. This tragic event marks the 3rd time that this killer whale was involved directly with the deaths of other people. This time however, this killer whale actually killed its trainer in front of a live crowd in Orlando, Florida.